With the power of the RDI we have confidently determined that the best Korean BBQ spots in Seattle today is Palmi Korean BBQ (but it was close). Palmi Korean BBQ scored a 40 on our restaurant delight index with SanMaRu Grill coming in second with a score of 39. Whenever I’m feeling sleepless in Seattle, I first blame all the coffee that’s available and then automatically think of all the different restaurants I can go to. The Korean population in Washington is about 1.1% which, compared to the different cities we’ve covered, is pretty low. That’s not gonna stop me from uncovering the best Korean BBQ restaurants this town has to offer! Now don’t expect to see the kind of quality Korean BBQ that LA or NY has to offer, or you’re going to have a bad time. 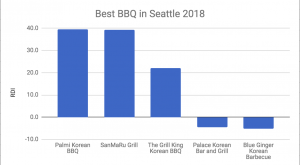 The Korean BBQ restaurant scene in Seattle isn’t as developed as other well known cities and that definitely shows in the low RDI scores the restaurants received based on our research. Overall, the Korean BBQ restaurants, score wise, in Seattle are mediocre at best, but that shouldn’t stop you from giving them a try yourself to see if they can indulge all of your meat loving senses. With a lack of Korean BBQ restaurants in Seattle, Palmi Korean BBQ easily took the top spot for the best Korean BBQ spot. This restaurant is not an AYCE spot so don’t go expecting to eat mountains of meat. In exchange for quantity, Palmi Korean BBQ serves great cuts of meats and their quality is raved about. If you’re worried that you won’t leave with a food baby, this restaurant comes stacked with seven to nine unlimited banchan including: kimchi, pickled onions, seaweed, imitation crab salad, corn cheese and more. The things that are holding this restaurant back are the unreliable grills, wait time, and price. The grills can range from being extremely hot and burning your delicate meat to not even properly lighting up at all. As any reputable restaurant, you might find yourself waiting anywhere from 15 minutes to 45 minutes to get a table so expect some wait time. Although there were some complaints about the price of the meal, Palmi Korean BBQ is definitely worth it for the quality of the meat, excellent service, and the smooth atmosphere. SanMaRu Grill is located a few minutes north outside of Seattle, but that’s the price you pay when there aren’t many Korean BBQ options available. Like Palmi Korean BBQ, SanMaRu Grill does not provide an AYCE option but their combo options are sure to make you full. There are 5 different combo options according to how many people you are expecting to feed. What sets SanMaRu Grill apart is the quality of their beef options, especially their marinated short rib, but you can’t forget about their side dishes. Also these tables come equipped with a server call button, so you never have to worry about flagging down your server. While the food is excellent, their customer service needs work. A lot of customers have complained that the service was slow to bring refills and were not helpful to first time Korean BBQ eaters. If you’re a beginner at Korean BBQ, I wouldn’t recommend this place. 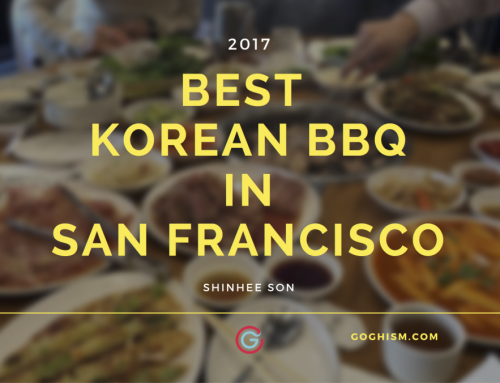 The Grill King Korean BBQ takes the final spot on the list of best Korean BBQ Seattle spots in 2017. 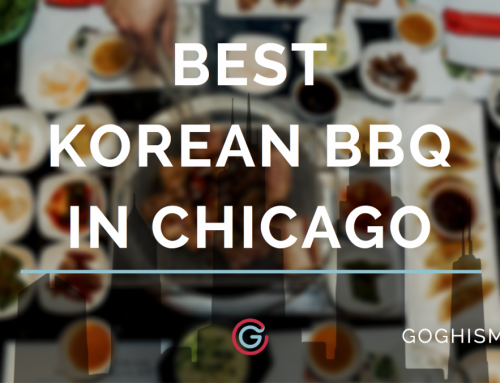 It would be weird to have a list of best KBBQ without an AYCE option. There are three levels of all-you-can-eat, with each increasing level adding some more expensive meat options. The difference between level 2 (24.99 per person) and level 3 (29.99 per person) is that the third level also includes galbi, shrimp, and squid. The quality of the meat and side dishes are average and aren’t as fresh as the other restaurants in the list but they make up for it with their warm and friendly service. If you want to leave a restaurant feeling uncomfortably full from all the meat in your belly, The Grill King Korean BBQ is definitely the place to go. A total of 5 Korean BBQ restaurants in Seattle were reviewed, and of those 3 met our criteria of having more than 100 reviews and passed the Fakespot fake reviews test. Based on this distribution, you can see how Palmi Korean BBQ pulled out ahead of the pack. As I’ve iterated in other posts, it takes a lot to influence these scores, as negative reviews will cancel out the positive ones. You truly have to create a positive, memorable experience. 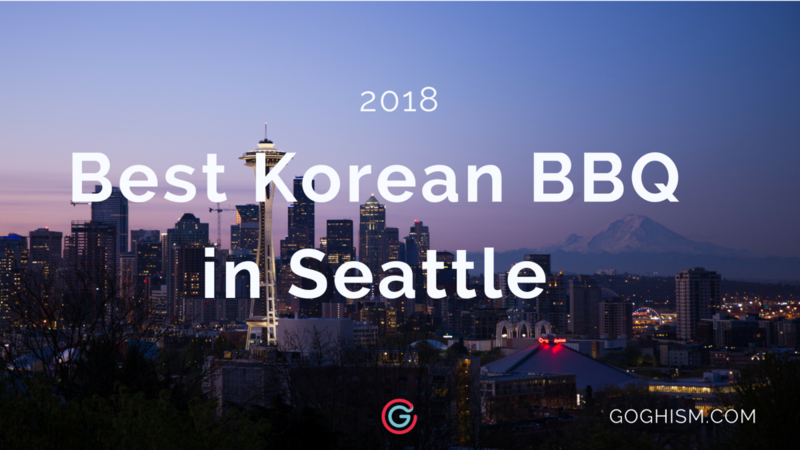 Because of how far Palmi Korean BBQ is above the rest of the Korean BBQ restaurants in Seattle, we can be confident it will be your best bet for 2018.